A company that I am currently working with has a fantastic product. They are competing in a market that has easy entry and so there are a number of competitors, some of them very well established. This startup firm, of course, has basically no advertising budget. I’ve been working with them and I’ve been constantly amazed at some of the great innovations they’ve created. However, nobody knows about them. What I’ve done when I’ve stumbled over these novel things that the firm is doing is exactly what every product manager should do: I give it a name. Doing this should be on everyone’s product manager resume. The name is unique and clearly communicates what the thing that I’m talking about actually does. It’s the next thing that I do that may hold the most value for you product manager: I clearly identify my new name as being a trademark that belongs to the company. What’s a trademark you say? A trademark is some form of a recognizable sign, design or expression which identifies products or services of a particular source from those of others. Sound pretty simple doesn’t it? The trademark owner can be an individual, business organization, or any legal entity. When you use a trademark, a trademark may be located on a package, a label, a voucher or on the product itself. The reason that you use a trademark is so that you clearly identify what your product does and prevent other people from using the same term. You indicate that a term has been trademarked by appending a superscript “TM” after it. Something very interesting happens when you name something that your product has. You start to use it when you talk about your product. Depending on how important this feature is to your customers, they may start to use it also. Before you know what is going on, your trademarked term is being used everywhere. Once you start to really use a trademarked phrase, its value to you starts to rise. When this happens, it may be time to move to the next level. 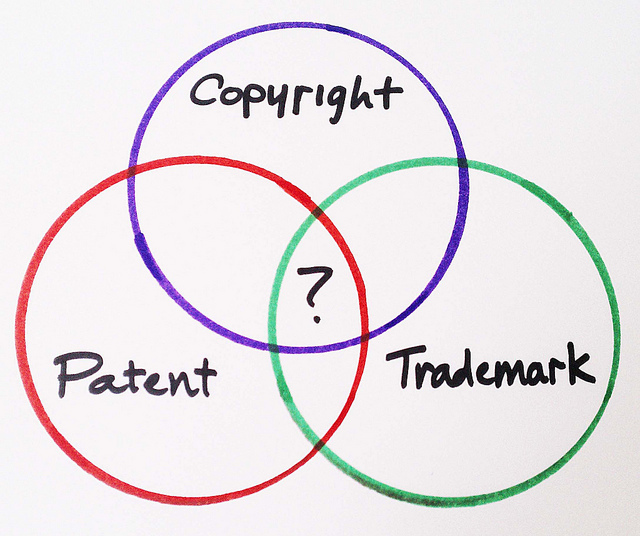 The reason that you might want to take extra steps to protect your trademarked term is because of how the law works. In some locations, just calling a phrase trademarked makes it yours and protects your usage of it. However, this is not the case everywhere. If you want to play it safe, then it’s time to register your trademark. In the U.S. you register a trademark with the U.S. Patent and Trademark Office. The registration of a trademark is a process that involves several steps and a 30-day waiting period to see if anyone objects to your request to register your trademark. When a name has been registered, you replace the “TM” with an “R” in a circle after the term. By going through the effort to register your trademark, you’ll be get the right to the exclusive use of the mark in relation to the products or services for which it is registered. The good news is that if it ever came to it, this would stand up in court. Every product has something that makes it special. As a product manager, it is our job to find out what these things are and make sure that we do a good job of communicating it to our potential customers. This is a basic part of our product manager job description. The first step in this process is to discover something that makes our product unique. Then we need to give it a name. Once this has been done, we need to clearly communicate that this new name belongs to our company to use as it wants. The easiest way to do this is to place a “TM” after the name to indicate that it is an unregistered trademark of the company. If the term starts to be used widely, you may want to provide it with greater legal protection because it has become more valuable to you. You can do this by registering it with the appropriate government agency. Discovering why your product is the one that they should buy is not the responsibility of your potential customers. Rather, it is your responsibility to tell them what makes your product so great. Creating terms that you can trademark and potentially register makes telling your future customers this story that much easier. Question For You: Do you think that you should have scheduled reviews of your trademarks to determine if they should be registered?